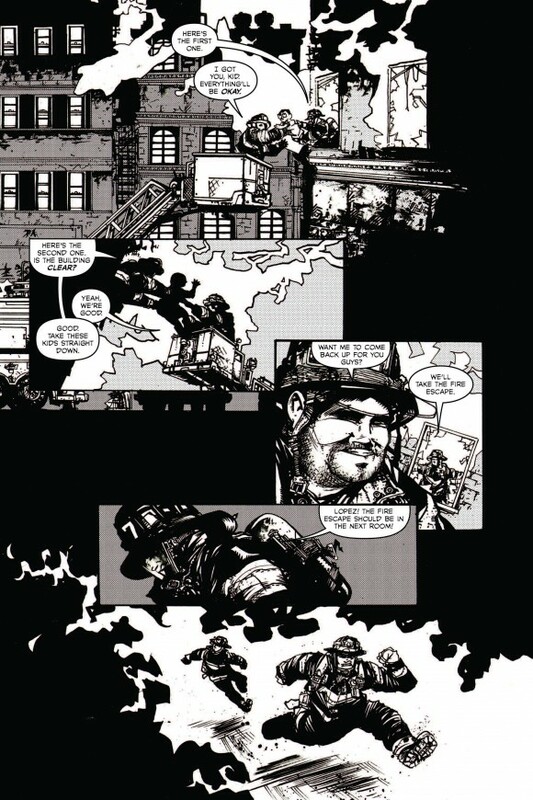 The Z2 graphic novel from Mario Candelaria and Karl Slominski is due 11/7. Firefighters are generally the likeable civil servants. They run into burning buildings to save lives and protect our homes. 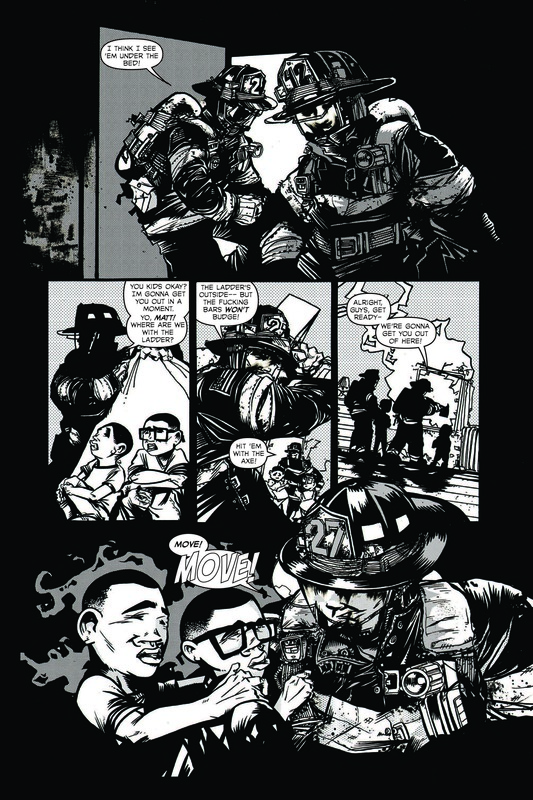 As a New Yorker, firefighters take on an extra aura, even 14 years after 9/11. That all makes it easy to see them in some cookie-cutter, Sesame Street fashion. 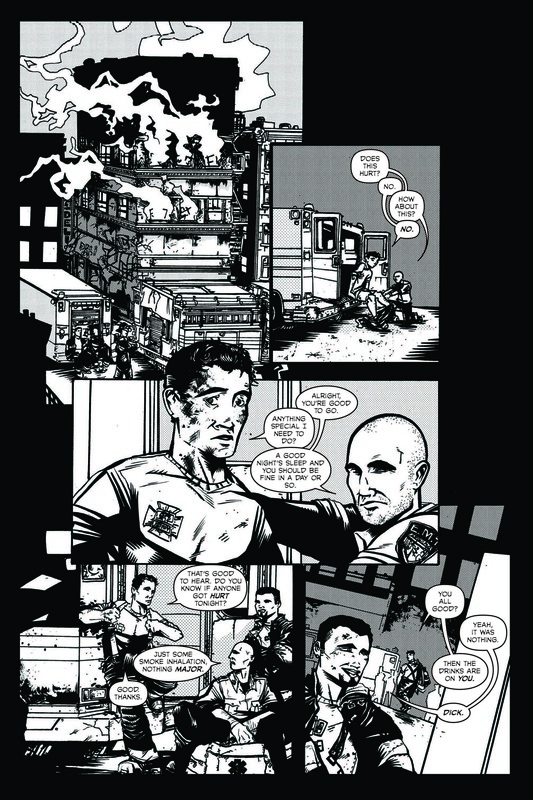 But now, Mario Candelaria and Karl Smolinski are putting nuance to that type of real-life superheroing, with Ashes: A Firefighter’s Tale. 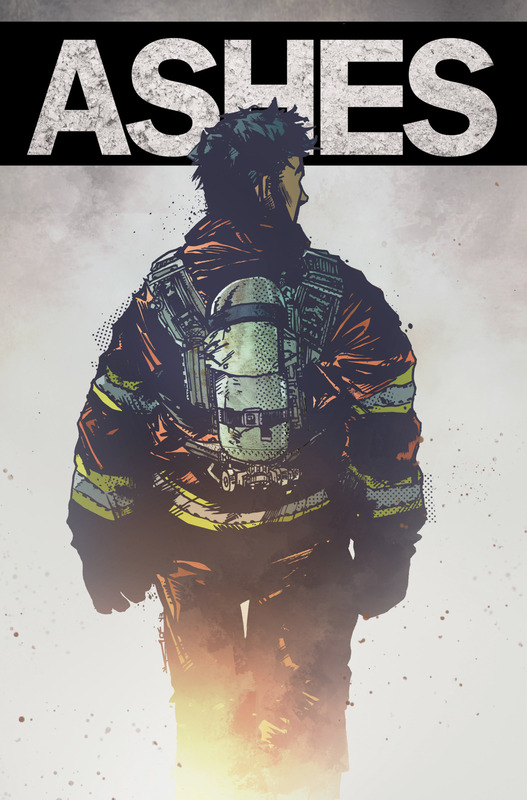 Ashes: A Firefighter’s Tale written by Mario Candelaria (Unlawful Good) with art by Karl Slominski (Golgotha), takes readers along for the ride with a New York firefighter. 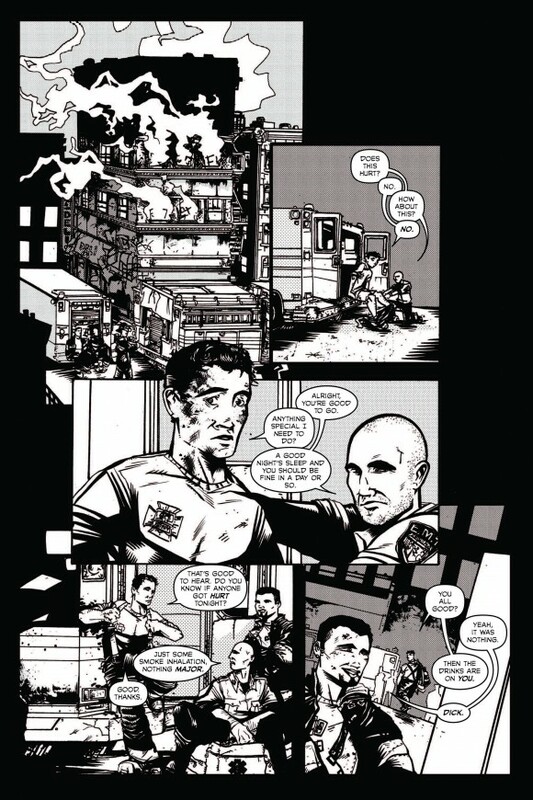 Matt always had an easygoing life. 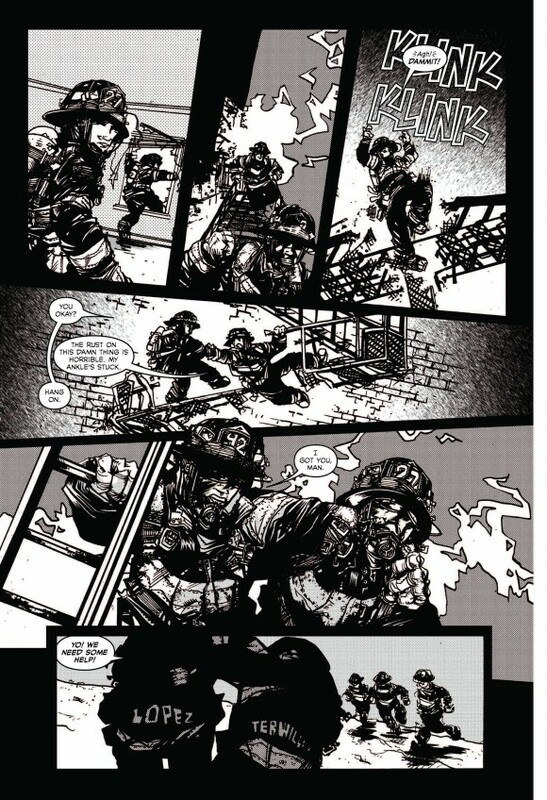 Girls liked him, his friends were like family and being a firefighter came naturally. But his life changed in an instant when he lost his leg trying to save the last person trapped in a burning building. 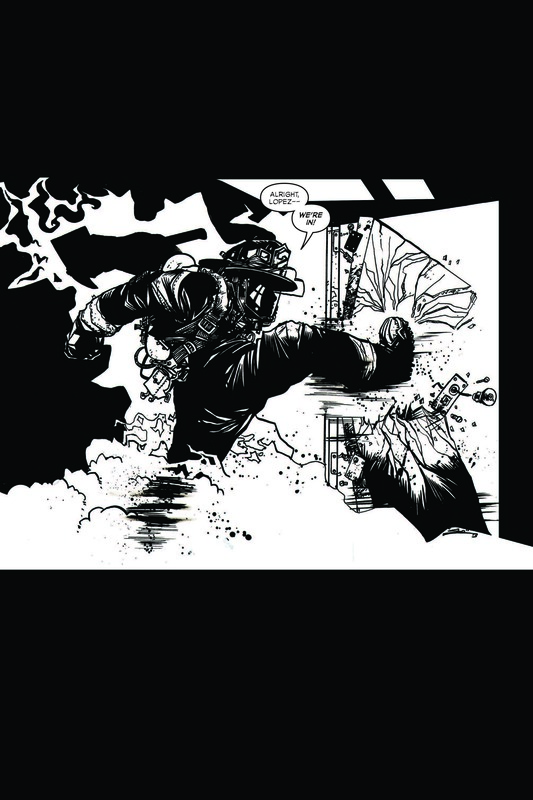 A riveting tale about perseverance, hard work, and overcoming the odds, Ashes is a gripping tale told in evocative black and white.